What better gift is there to give Dad than the ability to make superior frozen concoctions whenever he wants? Pick him out a Frozen Concoction Maker® this June so that he'll be able to kick back and enjoy a much-deserved frosty margarita anytime this summer. Now the only hard part is deciding which Frozen Concoction Maker® is best for your dad. Is your dad the kind of guy who works hard all week and thoroughly enjoys taking a break from the grind on the weekend? If you're more likely to find him napping in a hammock or watching golf from his favorite chair than catching up on emails, the Margaritaville® Bahamas™ Frozen Concoction Maker® is right for him. The Frozen Concoction Maker® blends restaurant-quality frozen drinks that can lead Dad to an escape to paradise. All Dad has to do is add some ice, pour in his drink ingredients and watch it mix. In just minutes he'll have a delicious frozen concoction that helps him hang on. 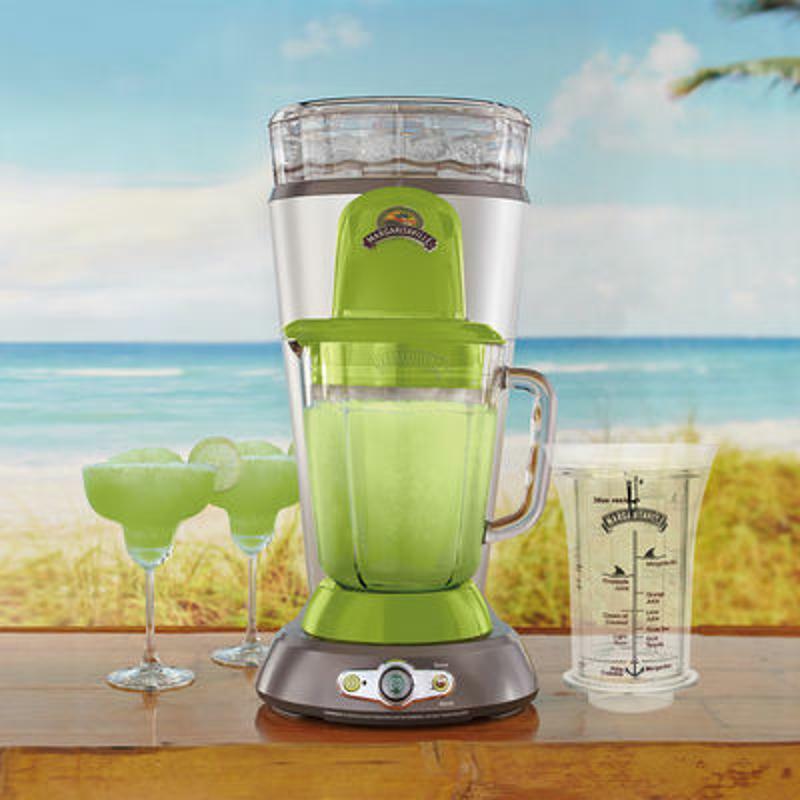 Margaritaville® Bahamas™ Frozen Concoction Maker® is a great gift choice. One minute your dad is watching the game by himself and the next minute a few of his friends are swinging by to join him. If your dad likes to be prepared for this situation and nearly anything else that could arise, the Margaritaville® Key West™ Frozen Concoction Maker® is the perfect gift. This Frozen Concoction Maker® includes multiple settings for one or more cocktails so he can serve delicious frozen concoctions to his guests in an instant. It's just the gift to give to a dad that appreciates a good time, whether he's throwing a party in the den or throwing a football in the yard. Is your dad always tinkering with everything from the lawnmower to his laptop? If your dad appreciates the mechanical or the technological, he'll enjoy showing off his Margaritaville® Bali™ Frozen Concoction Maker®. With its convenient dispenser, it can pour of the best margaritas around with a technical flair. With all the functionality of any other Frozen Concoction Maker®, this version can get him out from behind the bar when he's entertaining. Once a pitcher of frozen concoctions are mixed, guests serve themselves with the handy dispenser. Or he can set this Frozen Concoction Maker® up in his workshop and refill whenever he wants to. Just don't let him take it apart to see how it works! Is your dad always ready for a party? Does he constantly invite friends and family over for every occasion big or small? If he loves being the host of parties, then the Margaritaville® Tahiti™ Frozen Concoction Maker® would be a smart gift idea this year. With three stations that line up pitcher after pitcher, this Frozen Concoction Maker® lets Dad make everyone's favorite drink at once. He'll be able to serve a variety of frozen concoctions easily, making hosting that much more pleasurable. When his guests are happy, he is happy! If your dad is the kind of man who likes to tell you exactly what he wants for a birthday or holiday, let him pick his own gift this year. Send him a few links or call him on the phone. There's really no wrong answer when it comes to giving a Frozen Concoction Maker® as a gift.